eHome Design, est. 2009, a Magenium Solutions Company is about making technology work for you in your home and business. With individual members closing in on two decades worth of audio/video, automation, and supporting technologies experience, we are able to utilize resources gathered during those years to develop, install, and support systems that make even the most complicated of tasks a one button operation. Historically, advances in consumer technology become mainstream and then rapidly infiltrate the corporate campus. PC’s, cell phones, Wi-Fi and tablets are a few examples of technology that crossed the chasm quickly. Internal corporate IT has had to wrestle with consumer oriented products over the years, and these devices are typically not supported by Corporate IT in their initial phases. Our goal is to assist our corporate customers with the challenges of installation, support and management, as well as provide expert monitoring services. Leading the commercial expansion in IoT is a proliferation of home automation and control platforms. 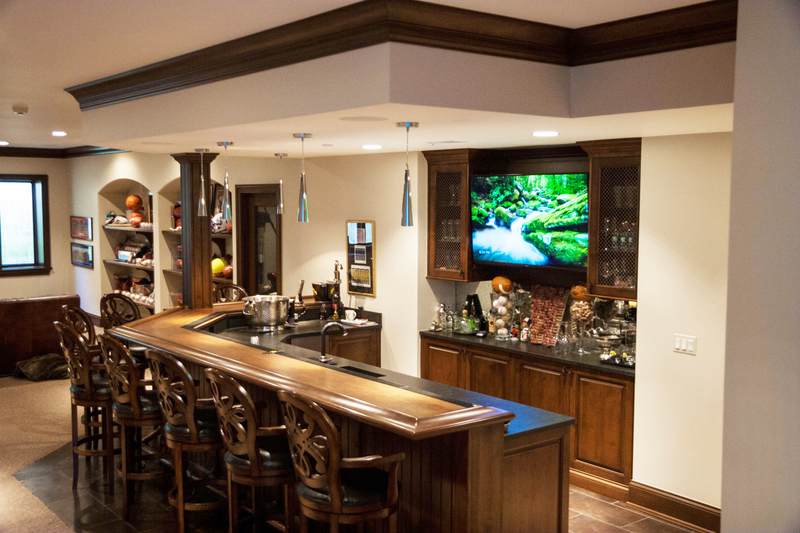 These device controls and systems typically communicate with accessories connected through hardwiring or Wi-Fi in a user’s home, and allow a user to configure them and even create actions to control other devices. Users can group actions together and trigger them using voice commands or an app on their mobile phone or computer. Examples are security systems, door locks, internet connected surveillance cameras known as IP Cameras, smart lighting systems and thermostats and AV Media equipment. All come with network connectivity requirements. Many are also utilizing and creating streaming sources that take up bandwidth. The interconnection of devices is ushering in automation in nearly every field at a rapid pace. Magenium Solutions’ new division and its service offerings can help corporate customers embrace this change. Connected devices need installation, support and management, as well as monitoring services. In addition, the tidal wave data coming from them will need to be indexed, stored and processed. In this smart environment, clients can rely on Magenium Solutions’ established expertise helping clients manage and monitor large amounts of data using custom and existing technology solutions.